If you are a seller, please talk to me about our complimentary seller’s warranty, which warrantees your home and its appliances for the duration of our sales contract. This home warranty service contract from Fidelity National Home Warranty covers the repair and/or replacement of a home’s major appliances, mechanical, and plumbing systems. We understand that military relocation can have multiple layers of complexity. We know the importance of making a move quickly, efficiently, and with as little fuss necessary for everyone involved. Getting settled comfortably and quickly into a new community is a frequent and important part of the military lifestyle. We’re here to help make things easier for you and your family! As a former Marine and one who has experienced military moves in the past, Doug is proud to hold a VAMRES certification on his real estate broker’s license, enabling him to be a valuable resource to relocating military personnel. It’s a tremendous opportunity to serve those who serve. 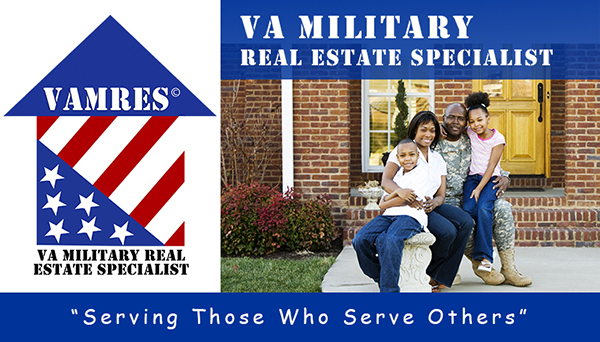 A VAMRES-certified broker (VA Military Relocation Specialist) has the expertise and experience necessary to help service members navigate some of the more finer-tuned components of a military move, and the ability to refer them to VAMRES-recommended Loan Expert. Determining eligibility – Doug can connect you with a VAMRES-recommended Loan Expert to get your eligibility quickly and identify the kinds of loans for which you qualify. Many times you can use your VA loan eligibility to purchase your home with no money down (and you can use your entitlement more than once). Viewing, selecting, and inspecting the home – Doug is well-connected in the local real estate market and can help you find the best neighborhood and home for you, as well as provide a free home inspection (reimbursed at closing). Requesting the loan – Doug will help you find and work closely with a VAMRES-recommended Loan Expert to get pre-approval before submitting an offer. In the current hot market, this is a big advantage! Appraising the property – Once your offer is accepted, your VAMRES Home Loan Expert will order the appraisal and start the full loan process. Doug will supervise the process all along the way. Closing the sale – Your VAMRES team will help you navigate the process and confirm the closing transaction once your loan has been approved. The Puget Sound area is home to a number of military bases, including the Bremerton Naval Shipyard and Joint Base Lewis McChord, covering the span of Pierce, Thurston, and Kitsap Counties. There are many fine communities and neighborhoods in these counties, and the Doug Lawrence Real Estate Team will be happy to show you around!